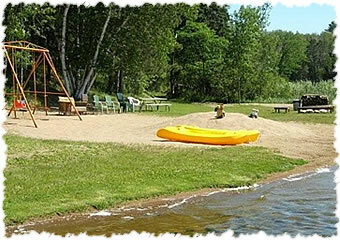 The safe, sandy swimming beach is a fun place for all ages. 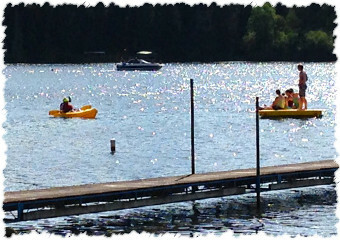 We have a slide in the water, a swimming raft and kayak's for everyone to enjoy. We have a large fire pit with free wood for campfires, which is ideal for family and group gatherings. 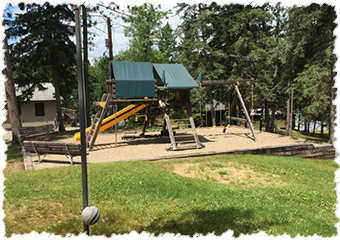 The playground offers swings, tire swing, shuffleboard, horseshoes, volleyball, tether ball, basketball, badminton, and playground equipment. 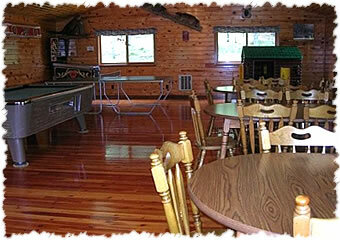 The lodge offers pool table, ping-pong table, HDTV, library and play house for the young. 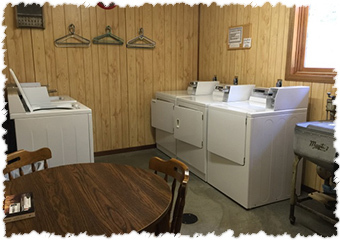 We also have complete laundry room facilities, with coin operated washers and dryers. 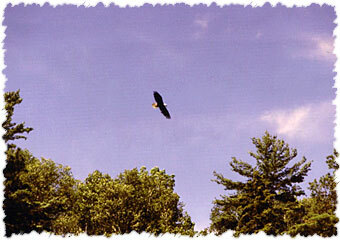 Our greatest assets are our guests. They are couples and families who appreciate our facilities, derive their pleasure from our beautiful surroundings, and respect the privacy and enjoyment of the other guests. 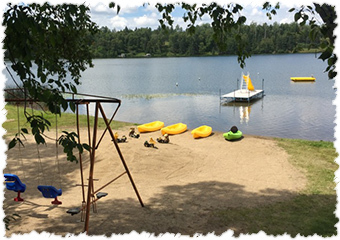 Hiking is a favorite past time at Norway Hills and we invite you to share the solitude and beauty of the Paul Bunyan State Forest. 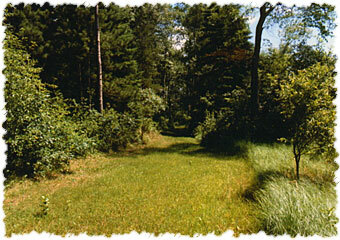 Hike on the nature trails leading from the resort to the forest. Norway Hills does not include a campground. 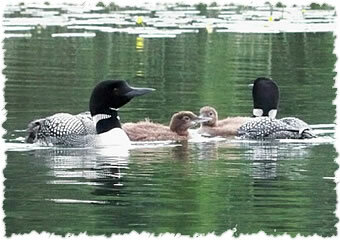 We cater only to our cabin guests and this results in a peaceful and relaxing atmosphere. The resort is our only business, thus we are visible and available to take care of your needs.